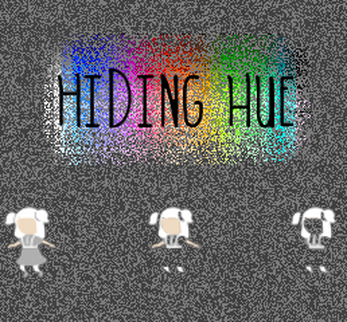 Hiding Hue is an experimental, classical yet contemporary NES game. 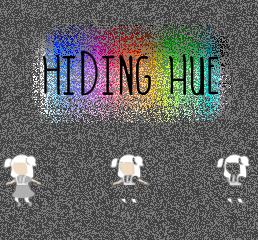 HEADS UP - the grey screen on the first level isn't a glitch ! just move around a bit and things will become clear. The narrative follows a city girl who has a rather urban and grey perception of life, eventually she ventures out to find a more vibrant and colourful corner of the earth, in turn she discovers hues that were previously hidden by her home, a monochrome metropolis. The game was fabricated using 3D techniques then down sampled to fit within the 256x240 native Nes resolution. I believe the result is an interesting blend of the old and the new!